ActioNet renewed its sponsorship with Braddock Road Youth Club (BRYC) this season. Not only to support a team with children of two of our employees, Missy Longo and Brandon Smith, but to support countless other youth in their development of a team approach. Here at ActioNet we team with companies and government agencies every day to provide a service to the government. Where did we first learn how to work together as a team? Was it preschool, kindergarten or youth sports? ActioNet believes that each of these early endeavors in life helped frame the basis of teamwork. Coach Smith fosters that message with his team. Each year boys and girls play on his team they learn about not just the game of football, but also the importance of working together and trusting each other to perform their role for the team. Coach Smith was awarded a Champion of Character award in October 2012 by the Fairfax County Department of Neighborhood and Community Services (NCS) and the Fairfax County Athletic Council (FCAC) and was one of 50 National finalists for the Positive Coaching Alliance Double Goal award in 2011. 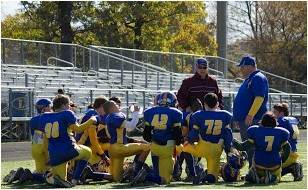 Saturday November 10, 2012, Coach Smith, his son Nate, and his BRYC Chargers, including Missy Longo’s son Nick, will play the Manassas Sharks for the Fairfax County Youth Football League 110 pound weight class National Division 1 Championship at Robinson High School at 3:30PM. The Champions of Character Awards Program honors youth, coaches and parents for extraordinary service in pursuing victory with honor. The program’s aim is to help reinforce the ennobling tradition of amateur athletic competition. Despite the attention that poor behavior and bad sportsmanship attracts, there are plenty of positive role models and examples of players, parents, and coaches who demonstrate positive character in sports. The program will recognize outstanding youth and adults who have demonstrated extraordinary service in the sports community while modeling the basic traits of good character: trustworthiness, respect, responsibility, fairness, caring and citizenship. Positive Coaching Alliance (PCA) annually honors 20 youth and high school sports coaches from throughout the U.S. who embody the ideals of the Double-Goal Coach, striving to win, while also pursuing the second, more-important goal of teaching life lessons through sports. Any current head coach of any youth or high school sport in the U.S. with at least three years’ experience is eligible for nomination. 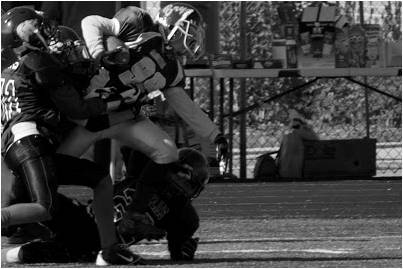 Missy Longo’s Son, Nick #99, going in for a touchdown! 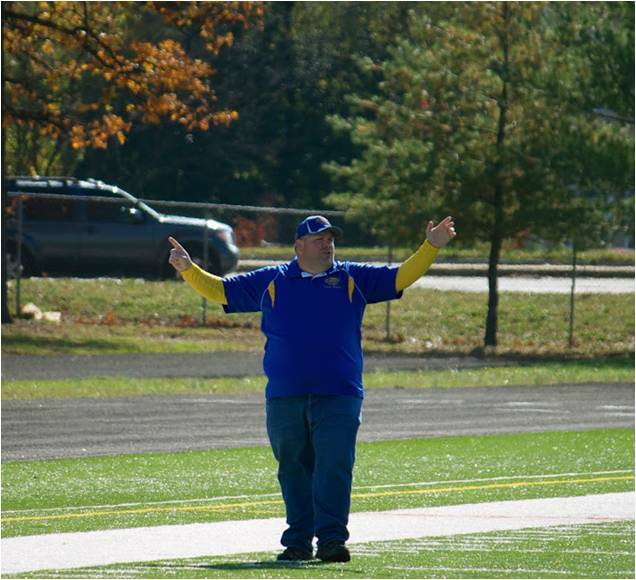 Proud Coach Smith – GOING to the Championship GAME!! !